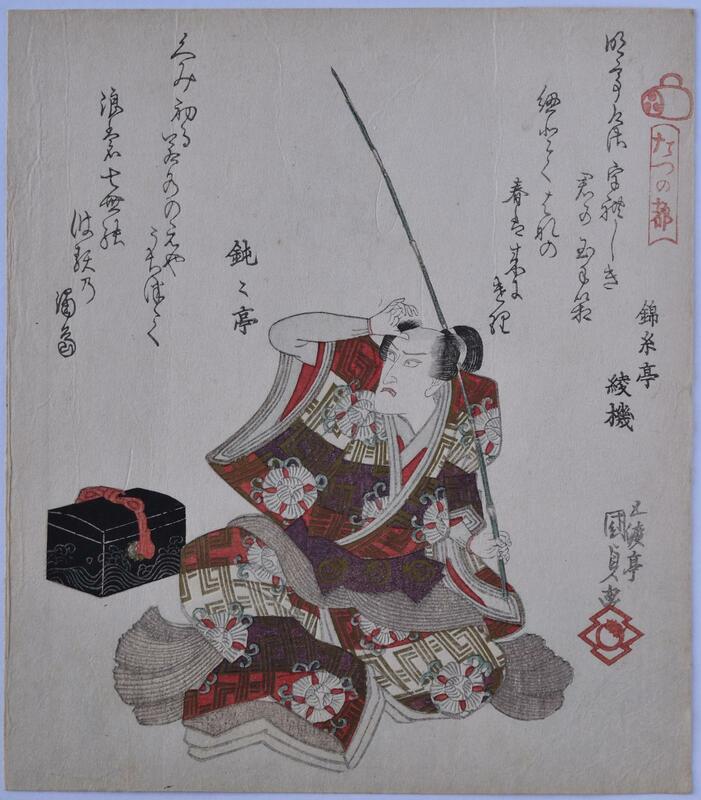 Ichikawa Danjuro VII as Urashima Taro, seated with his fishing rod and the black box behind him that contains his old age. Urashima Taro saved a giant tortoise and was rewarded by a visit to the Dragon King’s palace beneath the sea by the Dragon’s daughter Otohime. Published for the Taiko-gawa poetry group ( red drum seal top right ) in 1820. Very fine impression and colour with gold and silver. Fine condition. Signed Gototei Kunisada ga.